If you’re wanting to freshen up your home in the Houston area, ServiceMaster Advantage offers exactly what you need to enhance the appearance of your home—professional carpet cleaning services. For any residential property, carpeting is one of the most often overlooked components. Carpeting is vital to the appearance of a home as it may cover a significant portion of the floors, endures heavy foot traffic, and collects plenty of dust and soil, causing the carpeting to lose color, become faded, and lose its durability. But with proper care, a deep cleaned and refreshed carpeting can do wonders in drastically improving the interior space of any home. With professional Houston carpet cleaning services from ServiceMaster Advantage, we’ll provide exceptional results for your home. 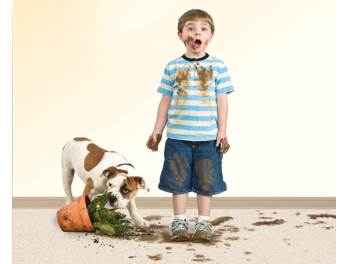 With our specially designed carpet cleaning methods and techniques, we’ll be able to remove the dirt, dust and soil trapped within your carpet’s fibers and base. When we’re completed with our Houston carpet cleaning services for your home, we’ll leave your carpeting refreshed, rejuvenated, and revitalized. Our thorough cleaning services will restore colors, shake off any fadedness, and help extend your carpets life and durability. To schedule a Houston carpet cleaning service or to learn additional details about our services, please feel free to contact our office today!